This animated short film is based on a real story and sets in China during the Cultural Revolution in 1967, It is about a young boy Liang Liang, whose family is suddenly taken to the countryside by Red Guards. He is able to grab the only thing he treasures which is a western style music box, and is careful not to expose it to the red guards since it was linked to western culture. The film mirrors tragedies that befall children and families who are forced to leave their homes, due to war, colonization and political campaigns – unfortunately a situation which is all too common today. Joe Chang is an award-winning director, animator and artist. He studied at Lu-Xun Academy of Fine Arts in Shenyang, China and Tama Art University in Tokyo, Japan and the animated short the Chinese Violin (2000) was his first animated film with the National Film Board of Canada. 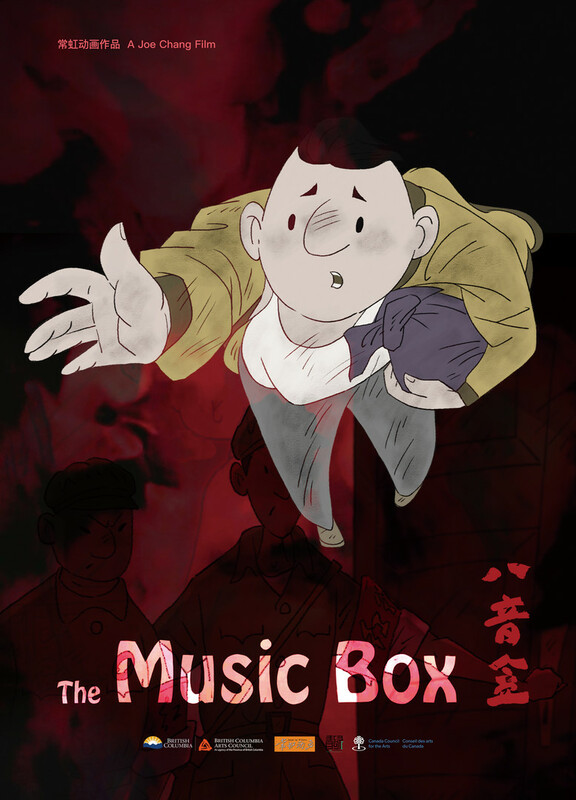 His most recent animated short film is The Music Box (2018). Currently, Joe is an artist and independent filmmaker, and he also working at China Academy of Art as guest professor in Hangzhou, China.